The trailer for upcoming television series 'Al-Farouk Omar Ibn Al-Khattab,' which tells the story of the early days of the Islamic Caliphate, has stirred controversy over the issue of depicting the Muslim Caliphs. Omar Ibn Al-Khattab, who lived between c. 586–590 CE and 644, titledFarouk the Great, was prophet Mohamed's companion. Ibn El-Khattab is one of the most powerful Islamic rulers, and the second to take over the Islamic empire following the death of prophet Muhammad. He was best known for his justice during his 10-year reign. The trailer for the series, which is slated to air during the fasting month of Ramadan on Saudi Arabian satellite television channel MBC, prompted critics on social-media networks to call for its cancellation. Grand Mufti of Saudi Arabia Abdelaziz Al-Sheikh, for one, has condemned the depiction the Muslim Caliphs in dramatic works. He reiterated calls to cancel the production. Al-Sheikh went on to warn the television channel against spending money on "what is forbidden by religion," saying that such dramatic works "put the lives of the Caliphs under scrutiny." Prominent Islamist scholar Youssef El-Qardawi, for his part, who advised the producers of the series, has voiced no objection to airing the series, Kuwaiti Online Newspaper Sabr reported. The series is being co-produced by Saudi's MBC and the Qatar Media Corporation. It is scheduled to air on MBC and on Indonesian and Turkish television channels. I have watched the series sub titled in English, is it also available Dubbed in English as I have read in some articles. Pls put english subtitle for this drama. there are many non arab want to watch this episode with english Subtitle. The whole series along with subs are available now. you can watch it on youtube. Great Personality and great serial! 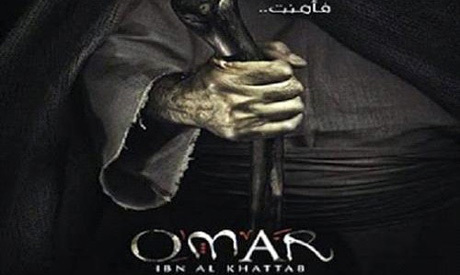 It is really a good strive to bring the life detial of Caliph Omar Ibn Al Khatab, but most audience wanna watch it with English subtitles, I request MBC and Qatar TV to kindly retelecast it in English language too. I believe the series should be allowed to be played as long as it represents the true events. We are beyond idolatry now with the true knowledge we have. I would like to see it dubbed into English or at least offer English subtitles. Other than that it is a great production! The Middle East should be proud of it. If the Middle East is afraid of idols they should stop the program of Arab Idol which puts certain people up on a pedastal. The Muslims need Omar nowadays to look up to good,respectable and just behavior, unlike the nonsense of shows like Arab Idol.